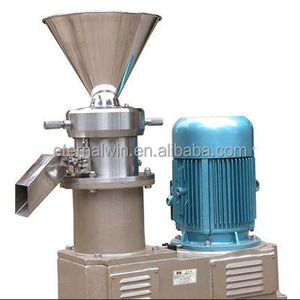 O verview Colloid mill products are machines for the fine processing of fluid materials. 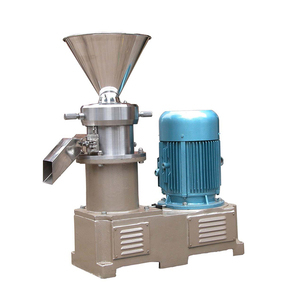 This machine is suitable for ultrafine grinding of wet materials in pharmaceutical, foodstuff, chemical and other industries. 5. The main seat, adjusting ring with limit and locking device to ensure the stability of the processing gap. M 3) Employees: 37 4) Production Ability: 100 Pieces/M jacketed tank Advantages: 1) Certificates: CE 2) Warranty: 12 months 3) OEM/ODM: can design, exploitation and manufacture by CAD software and drawing. Grinding process occurs in relative movement between the two teeth with one revolving in high speed and another keep still. Which makes the material between the teeth receive strong shearing and abrasion in addition to high frequency vibration and high speed swirl. 3):Here different capacity is provide from Lab Scale to Mass Production. A: Welcome to contact us through TradeManager, we will recommend according to your requirement. If during closing time or weekend,Please send mail to us, we will response within 24 hours. 1 YRS Wenzhou Qiangzhong Machinery Technology Co., Ltd. 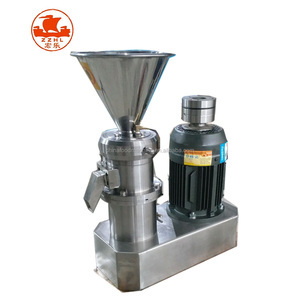 Moreover, it adopts the advanced grinding technology to ensure the protein from destruction, so that theseame and peanut butter produced maintains the traditional pure flavor, taste exquisite, and the taste is even more delicious. 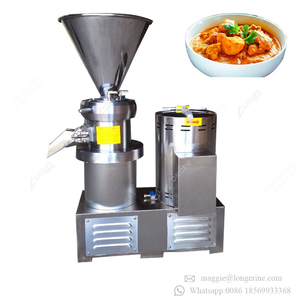 Characters of sesame paste machine : 1. the peanut butter making machine can make various kinds of butter such as sesame, cocoa, chili, fruit, soybean etc. 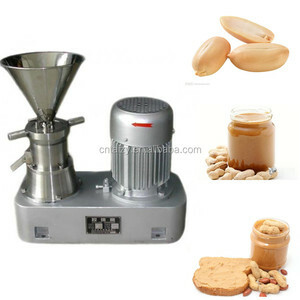 2. peanut butter making machine is easy operated,you just need to put the material into the machine, then you can get the finished butter. 2 YRS Weifang Shishang Machinery Co., Ltd.
2.Operating video & instruction will be sent to clients, to help them better use the machines. 4.All kinds of frequently used parts are supplied from us all the year round. Delivery time: 7 days after received 50% of the whole payment. 2 . 3 YRS Wuxi Maxwell Automation Technology Co., Ltd.
6, certificate services: we can provide related certificates to customers freely according to the request of customers. 7,inspection services: you can ask the third part inspection company or your inspector to inspect the products before shipment. 3. What kind of machines can you supply to customer9 We could offer various kinds of machines and whole production line. 1). 3. Debugging and inspecting of equipment until everything is functional before leaving the factory. 4. Overseas installation and training of equipment maintenance and operating personally. It is also depend on the machine itself, if you place order with us, and need to customize the machine as your requirement, the producing time is longer. 3 YRS Weishu Machinery Technology (Shanghai) Co., Ltd. 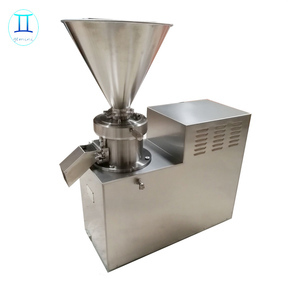 Stainless steel colloid mill peanut butter maker Specifications Colloid mill is the equipment thinning, grinding the fluid, semiliquids material. 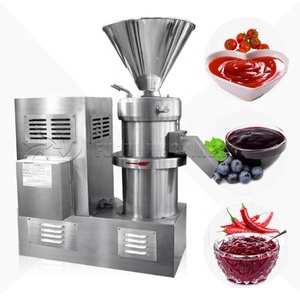 This equipment can process many types of material and after the productions are processed by the machine can preserve intrinsic nutrition elements and fresh characteristics. The milling head of the equipment can be changed and adjusted in liberty according to the material characteristics and fact use needs. 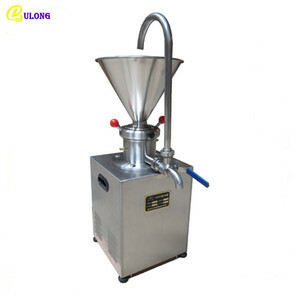 Alibaba.com offers 6,541 butter maker products. About 52% of these are other food processing machinery. 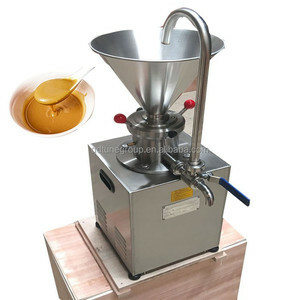 A wide variety of butter maker options are available to you, such as free samples, paid samples. There are 6,541 butter maker suppliers, mainly located in Asia. The top supplying country is China (Mainland), which supply 100% of butter maker respectively. Butter maker products are most popular in Africa, North America, and South America. You can ensure product safety by selecting from certified suppliers, including 982 with ISO9001, 464 with Other, and 207 with ISO14001 certification.